Educated at Los Angeles High School, Bradbury didn't attend college, but rather spent his free time emersed in reading in the local libraries. He began writing as a youth and in 1934 even wrote for George Burns on the Burns and Allen Show. When he was 16, he joined the Los Angeles Science Fiction Society. In 1938, he published his first story Hollerbochen's Dilemma, which appeared in Imagination magazine. That year he also founded Futura Fantasia magazine, which ran for four issues, the content of which was mostly Bradbury's. 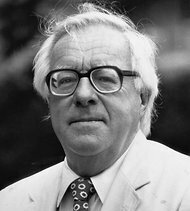 Unable to enter the military during World War II because of poor eyesight, Bradbury became a full-time writer and contributed to all the mainstream SF publications. 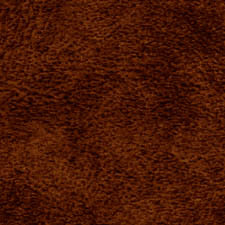 In 1947, he published his first collection of stories, Dark Carnival, which was well-received. Beginning in 1950, Bradbury produced what many consider to be his best work, The Martian Chronicles, a collection of linked stories. The work firmly established Bradbury. In 1951, he published the phenomenally successful Fahrenheit 451, which was made into a film in 1966. Bradbury also wrote essays and articles on numerous subjects, some poetry and plays, but it is his SF and weird fiction that stand out. Bradbury was the recipient of just about every SF award possible, honorary doctorates by many institutions and even had an asteroid named after him. He also has a star on Hollywood's Walk of Fame. His many other works include The Illustrated Man (1951), The October Country (1955), The Day It Rained Forever (1959), The Autumn People (1965), I Sing the Body Electric (1969), The Halloween Tree (1972), Long After Midnight (1976), The Fog Horn and Other Stories (1981), Death Is a Lonely Business (1985), A Graveyard for Lunatics (1990), One More for the Road (2002) and Farewell Summer (2006).